OFMG Wednesday Ride. April 10th. I was late getting to the start for the regular Wednesday ride and all had gone. I was in 2 mined as I thought they must have only just left. No, turn around and just ask at the servo we start from and see if maybe they know where they were headed to. Walked in to the the counter and luckily someone had said they were going to Mylor. Great I know the road up there well. I headed out of town and sat on the speed limit and thought I would most likely catch them before they arrived as it was a good 60km to get there. well Murphy is still healthy and I wound up behind several cars and truck on my way. I arrived at the local cafe where I thought I would find them and parked up. I strolled over to find some riders were still inside ordering. I joined the other riders outside at some sheltered tables. what a fantastic day for a ride. No wind and about 20c – 22c. We sat in the shade of a large tree while our drinks were brought to us. we sat and chatted for a while. it seems that muffins were the flavor of the day as almost everyone but me had one. Even though I had seen them when I ordered my coffee I wasn’t hungry and resisted the urge ;). 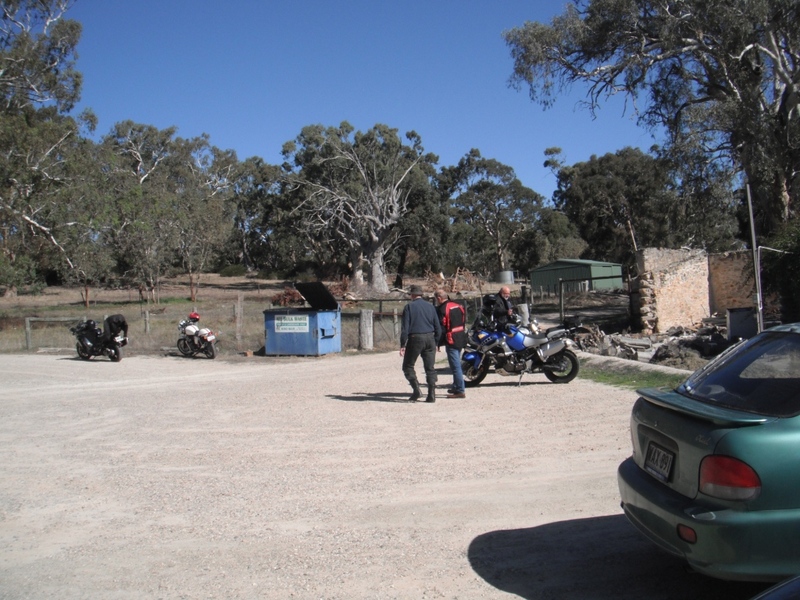 As usual a couple of the riders had to return home and the were also a couple who needed to get to Adelaide to get to specialist appointments. The remainder of the riders who were planning lunch took an alternate route to get to Ashbourne for lunch. One thing about riding with locals is you get to find all the best bike roads. All I can say about the roads is “Fantastic”, No, No, I tell a lie, here’s another “WOW”. It was a great ride. Of all the times to leave my Gopro behind. I am definitely going back over it again to get some footage. Up and down and twisty. I was so out it today that I didn’t even think to get some photo’s until the best parts have gone. We done the circuit and ended up at the Greenman inn for lunch. We wondered in and put in our lunch orders. We arrived at 1pm and it was not until 1.50pm that we started to receive our orders. mind you some locals who had shown up about 5 minutes after us receive their meals about 15 minutes before us. Oh well the meal hit the spot. Strolling out to the bikes after lunch. Bit of Aussie bush out back. Sorry I didn’t get any other photo’s. I do this one again on the bike on my own to get some better photo’s. 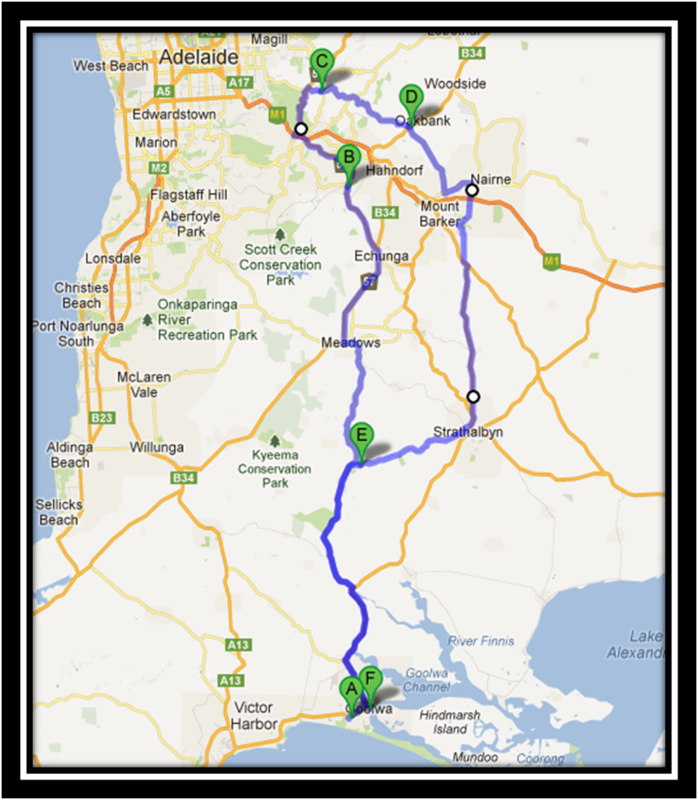 Route taken for a great bike ride. Thanks TR, I have added a couple of pictures since. It was a great ride and I will do it again but a bit slower on my own as there are some good bits of scenery along there. I will get some more pictures then. 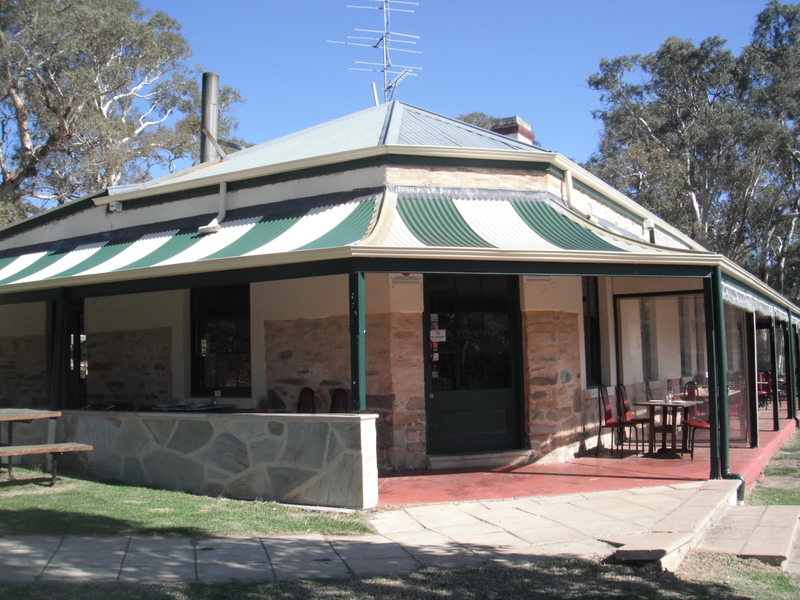 The Greenman Inn is an Aussie Pub in the bush located at Ashboune. Check it out on Google map. Sometimes you have more fun without the camera. When we used to go diving I used to make a point of leaving it behind from time to time. Could stay longer on a cylinder and ‘see’ more when I wasn’t looking for a good shot. Sounds like you had a great ride. But as they say a picture paints a thousand words and I am not the best writer. I like to add photo’s as its good to recall the outing. One of the issues I do have is remembering to stop and take photo’s anyway.